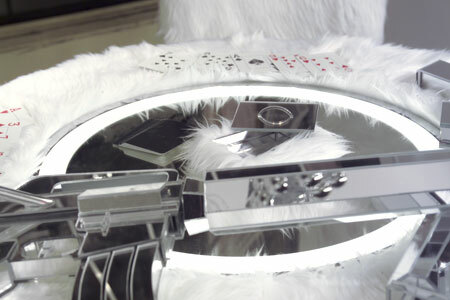 faux fur, vinyl leather, plastic mirror, wood, etc. "Beaut Brute." Al Pacino's Scarface would approve. 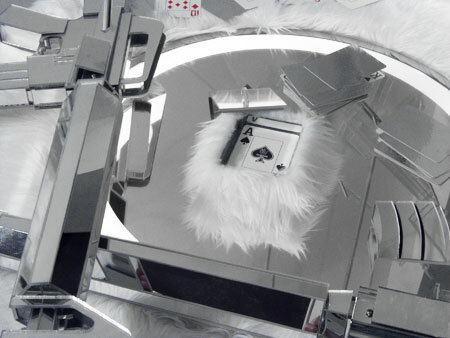 Taro Hattori's latest installation is a gangster's dream décor. 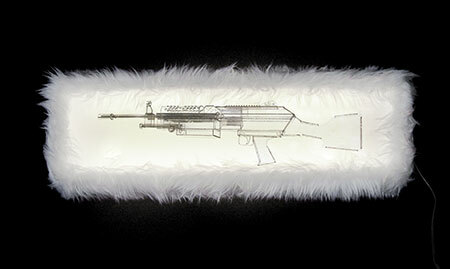 The walls are lined with a row of assault rifles painstakingly constructed out of see-through plastic. 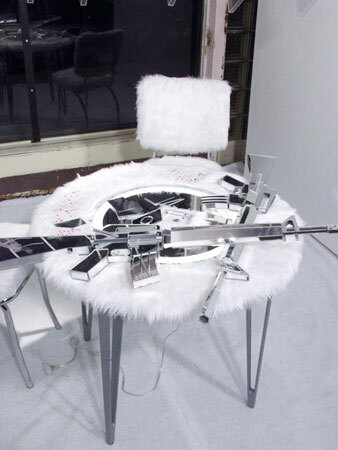 In the center, two more rifles, of mirrored glass, lie casually atop a card table, also mirrored and trimmed in shaggy white fake fur. 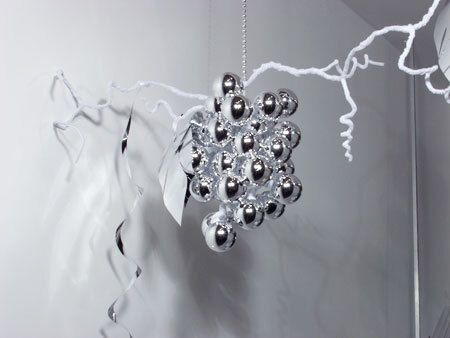 Above, the wall is draped with bunches of equally reflective, oversize grapes on fuzzy white vines, a cheap, disco-ized nod to the superabundance and amorality of Roman antiquity. The only thing missing is a few lines of coke. 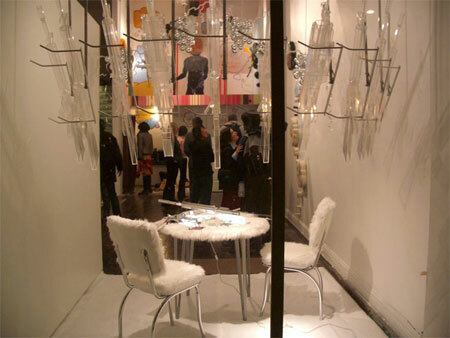 You could read Beaut Brute's exaggerated tackiness as a critique of the glamorization of violence, if the installation itself weren't guilty of same. By turning weapons into objets d'art, Hattori reminds us not only how we aestheticize mayhem, but also that guns are consumer goodies like anything else. 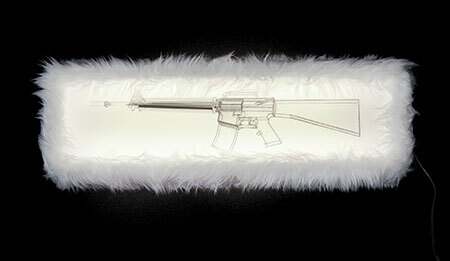 The guns hover somewhere between coldly beautiful art and water guns on steroids. This ambivalence may ultimately be their message. Such products are really just exquisite toys for overgrown boys -- as in "Say hello to my little friend."